On Sunday, hordes of Americans will tune in to the 89th Academy Awards to catch a glimpse of all the glitz and glamor. In fact, I wouldn’t be surprised if more people are focused on the stylish outfits donned by Hollywood’s elite than the awards themselves. But seeing all those little details on dresses and jewelry takes good eyesight, something that’s becoming a problem—and a fear—for many Americans. A recent study by the Johns Hopkins School of Medicine found that most Americans regard loss of eyesight as the worst ailment that could happen to them—outranking contracting HIV/AIDS, losing a limb, or even losing their memory. It’s also the third most common debilitating chronic condition in older Americans following arthritis and heart disease. And although it’s major cause for concern—and already affects 23.7 million Americans (with that number expected to double by 2050)—blindness is largely preventable. People just don’t know it. The four biggest causes of blindness or impaired vision in America are age-related macular degeneration (AMD), diabetic retinopathy, glaucoma, and cataracts. But many of these conditions can be identified early by visiting the eye doctor and getting the right kind of treatment. When identified early, these conditions can be treated and their impact can be limited and even eliminated. Aside from going to the eye doctor and scheduling an annual or bi-annual appointment, there are things you can do to lower your risk and prevent each of these conditions, allowing for better vision for much longer. 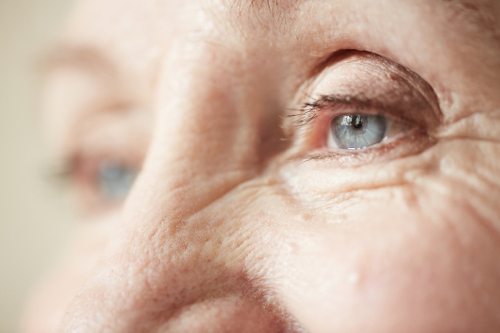 Glaucoma can be treated with eye drops, pills, or surgery, but is currently incurable. So don’t let your viewing of the Oscars—and all the other things you love—be stripped from you. Eyesight can be maintained by making regular trips to the eye doctor and a few minor lifestyle adjustments. Brody, J., “The Worst That Could Happen? Going Blind, People Say,” The New York Times, February 20, 2017; https://www.nytimes.com/2017/02/20/well/the-worst-that-could-happen-going-blind-people-say.html?hpw&rref=health&action=click&pgtype=Homepage&module=well-region&region=bottom-well&WT.nav=bottom-well&_r=0, last accessed February 21, 2017. Scott, A., “Public Attitudes About Eye and Vision Health,” JAMA Ophthalmol., October 1, 2016; 134(10):1,111-1,118. doi: 10.1001/jamaophthalmol.2016.2627.